@rebelpawn - I love that Ichiro. Snagged a 2001 Topps Chrome Combos Refractor of some all-time greats. Also got the Mattingly jersey. Down to 1 to complete the set. 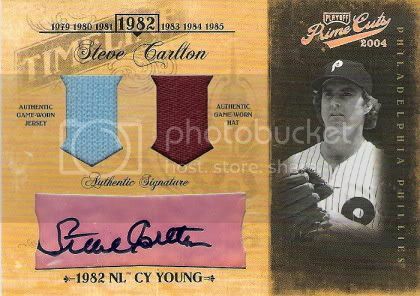 Strangely, the last 1 I need is not Mantle or Gehrig, but Bucky Dent. Also got the Mattingly jersey. 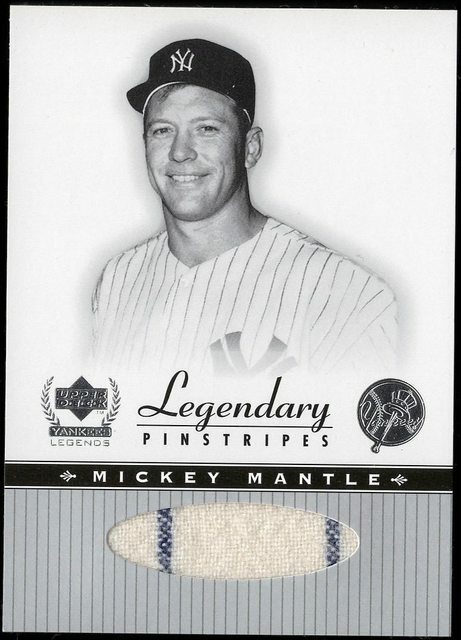 One would think, in a set titled "Legendary Pinstripes", that they would use jersey swatches with actual pinstripes on them. I swear, the people designing these cards have no common sense. Ha, no doubt. 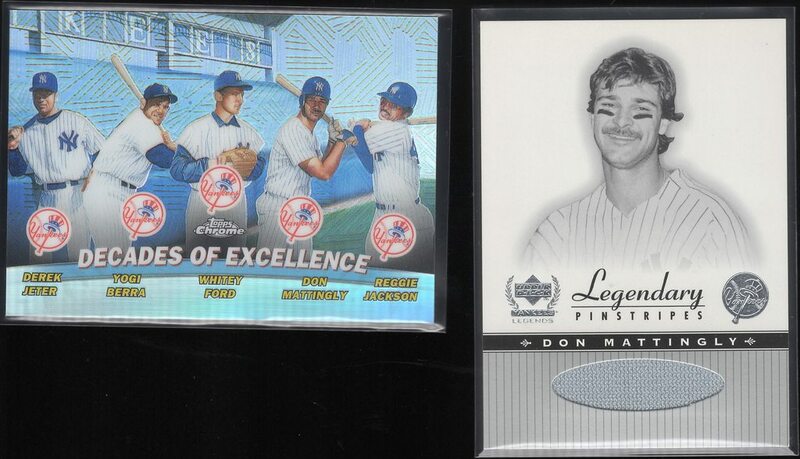 I would prefer a home jersey version of Mattingly for sure. 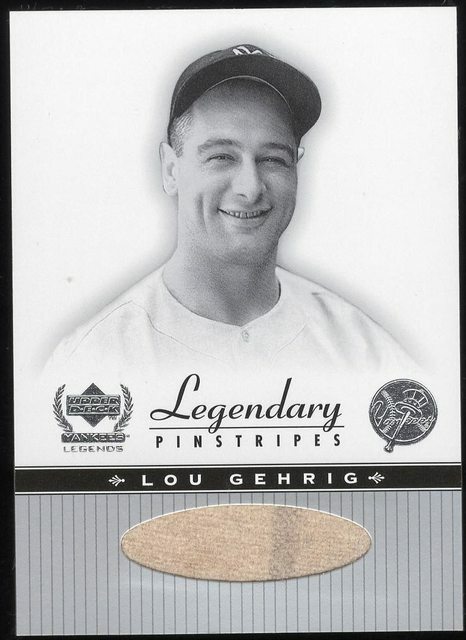 The Gehrig and Mantle have them, so that makes up for it! Great additions! Those early GU sets are still some of the best after all these years. Cobb /10, wanted a GU card of his for years now and finally snagged one.